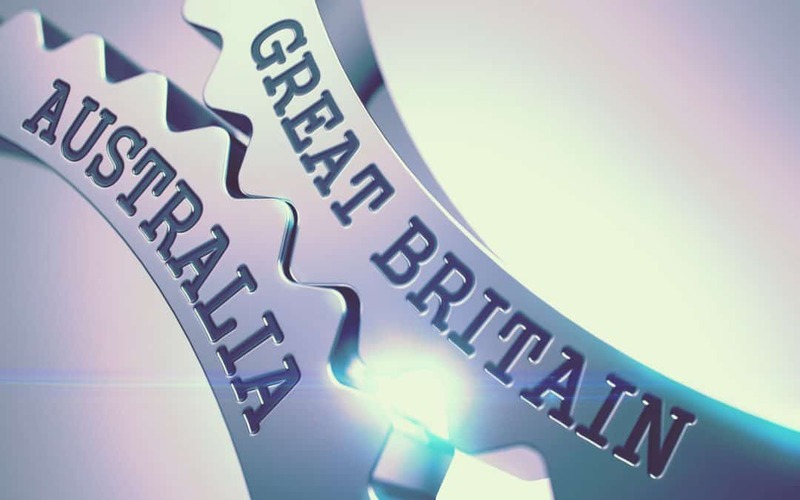 From the picture many of us get via pop culture, jokes and groundless stereotypes, one might say that Australia and the UK are polar opposites. One is an entitled, self-indulgent aristocrat who values tradition over common sense and the other is, well, a party dude like the famous Michelangelo (the ninja turtle, not the artist). How do I know that this misconception is true? You knew which one is which without me naming the country. Fortunately, this point of view is false. Both the UK and Australia have much more in common that one may have ever considered. For once, both are English-speaking countries. Both are advanced industrial economies that spawn the level of life that is practically on the same level. Both have raised citizens that are individualistic by nature. Even the culture is similar because there is no lingual barrier between people. What I mean is that we watch the same TV shows, enjoy the same sports and cheer for the same things in 9 cases out of 10. That noted the differences are still present. You can’t get away from the fact that people change based on where they live. More on the matter – you must be aware of them when considering relocating to London. Thus these differences, regardless of them being petite or not, are the focus of your today’s read. Ok, everyone sees the elephant in the room. Let’s start with him then, shall we? Yes, the weather is opposite to one another. Australians enjoy the warmth of the red giant (perhaps even too much of it) on a daily basis, while the British consider every sunny day a reason for celebration. This fact is the reason for a major difference in the mindset – the need for activity. We here, in London, enjoy our cozy flats and some of us only go outside when it’s absolutely necessary. The Australians, on the other hand, prefer an active lifestyle filled with exploration. Australians don’t watch as much TV as we do for the same reason. Yes, there are people in this world who are willing to consciously miss X Factor. Can you imagine that? This, my fellow Londoners, is where we dominate. Australia has but two chains of really big supermarkets and a smaller array of local businesses. The menus in cafes and restaurants are pretty much the same with minor exceptions. Yes, their food is jaw-dropping, but it is nowhere near the levels of diversity offered in Soho alone. That noted, our cup of diversity stands on a shelf of thin ice. We often lack the quality of food in many places and our prices are sky-high of compared to the average check in an Australia establishment. The difference in other types of consumer goods like shopping is pretty much on pare here and there. There are as many shops, luxury boutiques and branded stores in London as there are in Melbourne or Sydney. The United Kingdom is a pretty big player right now but let’s face it – we are not even close to the level of impact the Empire once had over the world. And, even though we choose not to admit it, this fact hurts a lot deep down inside the heart of every British person. This is why we care about the elections in the US or whatever else the Russians are doing now much more than we do about the stuff that happens in our own country. We unconsciously wish to rule the world with an iron fist. The Australians are nothing like that. They have a nice country with a growing economy that grows its weight on the international arena slowly, but steadily. And yet they don’t seem to care. At all. Talking about politics with an Australian is like talking about politics with a wall that has a few jokes up its sleeve. If it doesn’t work – try talking sports and you will surely find common ground. The devil is always in the details of which there are plenty when it comes to comparing Australia and the UK. Jaywalking is a real crime in Australia. Yes, you can’t cross the road wherever you please as long as you believe it is safe there. Safety first, someone might say and they would be right, but what happened to level crossings then? You will have to walk over tracks to get to the point of your destination in Australia. Why? Because apparently, a train isn’t as much of a threat as a Mini Cooper. Newspapers are delivered ‘the American way’ here meaning there are actual kids on bikes who do that every morning. Those little rascals must have scared away all the cats by the way. Because how else can you explain the total absence of feline life in Australia? It’s definitely the kids… or the spiders? I’m not too sure about that but I often feel like that whatever has created THAT web can pretty much devour me in one sitting every time I visit Sydney. Australians have mailboxes instead of tiny holes in their front door but they lack in the street light department. More of our roads in the UK are sided with pavement and Australians just have their lawn to walk on. This list can go on and on without stopping but I feel that it gets the message across – yes, there are plenty of differences both in culture and in the lifestyle but, at the end of the day, they all fade away in the shade of insane similarities. Because who really cares about a mailbox nowadays, but the ability to talk and to think on the same level is where actual gold is hidden.